Las Vegas-based Allegiant airline is continuing to support Rancho High School’s aviation program, this time with a donation of more than $400,000 in aircraft parts. This extraordinary donation gives students in the program the kind of hands-on training that will provide them with career-ready job skills. 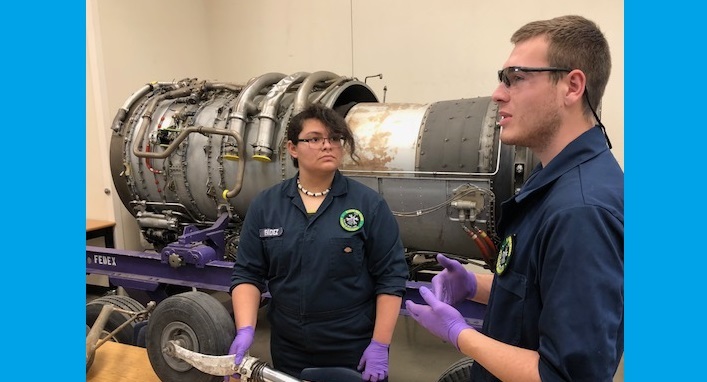 Rancho High School’s aviation and aircraft maintenance instructors will utilize the parts to teach students how airplanes are built, function, and are repaired. Allegiant noted that its donation included thousands of pounds of aircraft parts, among them: landing gear, an engine thrust reverser, radar antennae, and other hydraulic and avionics components. The aviation program at Rancho High School is the only one in the Clark County School District and one of only a few high school aviation programs in the United States. This magnet program at Rancho High School offers two dynamic and unique tracks in engineering or flight for students interested in aviation and aerospace.